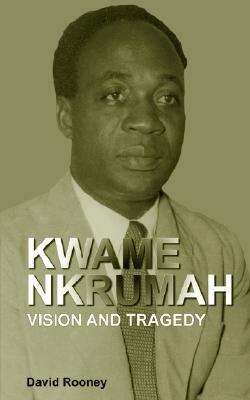 The yearlong celebration of Ghana's Golden Jubilee provides a fitting context for the republication of the book Kwame Nkrumah: Vision and Tragedy. In the lead-up to the celebration and over the course of the year, the life and times of Kwame Nkrumah will receive unprecedented public attention, official and unofficial. Kwame Nkrumah's very wide name-recognition is, paradoxically, accompanied by sketchy, often oversimplified knowledge about the events and processes of his life and times. For most of those born after independence in 1957, such knowledge does not extend much beyond who Kwame Nkrumah was and vague notions about he won us Independence". This book presents new material and new analysis, which helps to clarify aspects of the record, while advancing new perspectives. What comes across clearly throughout the book is the significant contribution of Nkrumah's vision and personality at a critical moment in the history of Africa and the Third World. He, perhaps more than any other, was able to identify, focus and catalyse the major factors and players driving the struggle for political independence in Ghana and liberation in other parts of Africa. In the process, he committed his life and work totally to a wide variety of activities and processes in Ghana, the continent and in the global Non-Aligned Movement." - Akilagpa Sawyerr Association of African Universities Accra, Ghana 10 March 2007 "This is an objective study which should be read by all concerned with the history of post-colonial Africa." - Conor Cruise O'Brien Former Vice Chancellor, University of Ghana, Legon. David Rooney is a specialist on Ghana from Cambridge. His research for this book unearthed unpublished material in Ghana, UK, and the United States, where he had access to CIA papers. He has written extensively on the Commonwealth and modern Africa, and is the author of a biography of Sir Charles Noble Arden Clarke.Rooney, David is the author of 'Kwame Nkrumah. Vision and Tragedy', published 2007 under ISBN 9789988647605 and ISBN 9988647603. Loading marketplace prices 106 copies from $32.91 How does the rental process work?